Like many who grew up in a synagogue, I can probably say that I had more opportunities to hang out with the custodian than the rabbi. As a 4-year-old preschooler at my synagogue in the early 1980s I just assumed that Earl Winfrey was the most important person in the congregation. As a young kid I knew that he was the guy who kept the place clean, made sure there were treats for Kiddush after services, and he had what seemed like a thousand keys hanging from his belt loop. Mr. Earl, as I still address him to this day, would put his large hand on my shoulder and wish me "Shabbat Shalom" when I would come to shul with my grandfather in elementary school. He would tell me stories about my mother when she was a Hebrew school kid at the old shul building in the old neighborhood. He was there at my bar mitzvah and he was made sure the building was clean for my wedding too. When I think of those who had a major impact on me, I would include Mr. Earl along with the handful of rabbis and teachers in my life. The summer before my bar mitzvah I worked at the Jewish Federation of Metropolitan Detroit assisting the building manager. The federation building was still in downtown Detroit then (it later moved to suburban Bloomfield Hills), and my father, the federation's CFO, got me a job working maintenance with Earlie Butler. 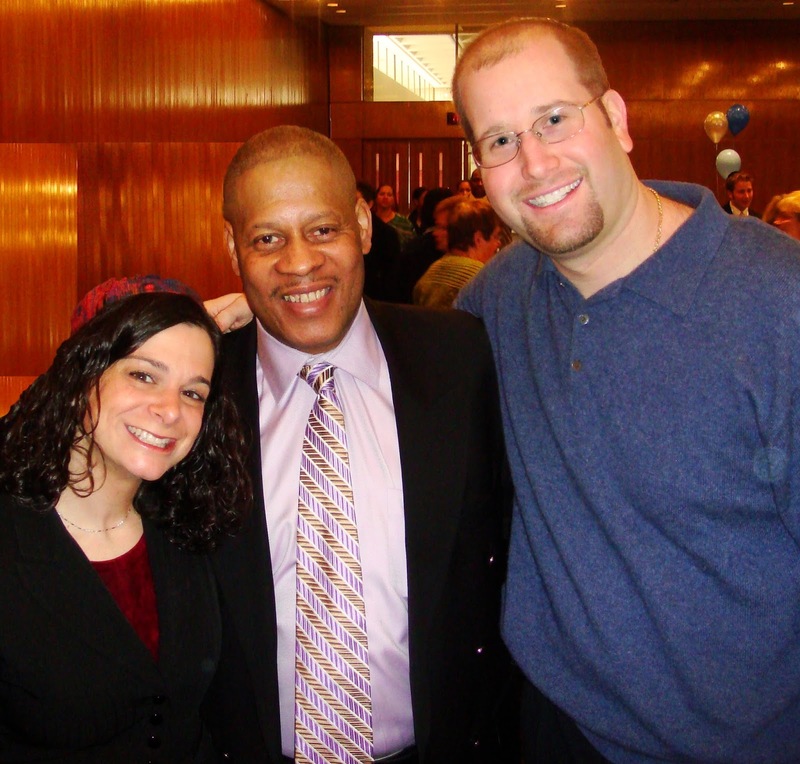 Earlie was an older African-American man who was so beloved at the Jewish federation that they were sending him on an all-expense paid trip to Israel that fall to show their appreciation. That summer was an important opportunity for me. Earlie showed me what it took to keep a large building clean and operational on a daily basis. As a spoiled kid from the suburbs I spent that summer learning how to unclog toilets, polish brass doorknobs and get on my knees and use Murphy's Oil Soap (Earlie's favorite cleaning product) to make an old wood floor look new again. While the Jewish federation moved uptown the following year, the iconic Fred M. Butzel Building remains at 163 Madison Ave. in Detroit. It stands just beyond the center field wall of Comerica Park where the Detroit Tigers play. Each game I attend I look into the outfield at that building and reminisce about that pivotal summer when I began to appreciate the role of the custodian. I thought back to my childhood at Adat Shalom Synagogue with Mr. Earl Winfrey and that memorable summer with Mr. Earlie Butler this past week. The cover story of the Detroit Jewish News paid tribute to synagogue custodians. The article began, "They are often the first to open up the building in the morning and the last ones to lock up at night. They work hard to make sure the furnace runs in the winter and the air conditioning is cool — but not too cold — in the summer. Because of them, the floors shine and the carpets are fresh right before the High Holidays and the start of Hebrew school." It's so true that these mostly non-Jewish men have grown so connected to the synagogues where they work. These days, clergy and synagogue staff come and go every few years, but the men who maintain the synagogue's infrastructure become part of the fabric of the congregation. They are the caretakers of the facilities, but they are also part of the community. In the winter of 1984 while Mr. Earl was still working at my synagogue, a young man named Marvin Brown was hired. Marvin has watched me grow up and is now watching my own children grow up. This past Shabbat I told Marvin how proud I was that his photo was on the cover of the Detroit Jewish News and how much I enjoyed reading his quotes in the article. I told him he was always a famous guy in the synagogue, but now he's famous all over town. Today at Adat Shalom Synagogue my children are growing up talking sports and giving high-fives to Marvin's nephew, Dontaye Brown. As I think back to how many plates of scrambled eggs and lox Marvin has made for me following morning minyan (prayer service) and how many bowls of his delicious soup I've eaten at Shalosh Seudos (a late-afternoon meal on Shabbat, also known as Seudah Shlishit), I wonder if other people appreciate the important role played by custodians in creating community at synagogues and other Jewish communal organization. Sure, it's the rabbis and cantors and educators and volunteers who lead the congregation, but these synagogues would cease to function without the dedication of the custodians. It is because of these gentlemen that whenever I visit a synagogue I always make it a point to shake the hand of the custodian and introduce myself. In every synagogue and Jewish community agency building I've ever worked, I've enjoyed wonderful relationships with the custodians and maintenance workers. I've always expressed my deepest appreciation to them for the important work they do. And when it's time for my oldest son's bar mitzvah next year I'll make sure that Marvin has the day off so he can just be one of the guests. He'll be an honored guest of course. A beautiful song of praise for people who were unsung heroes. Yishar Koach.